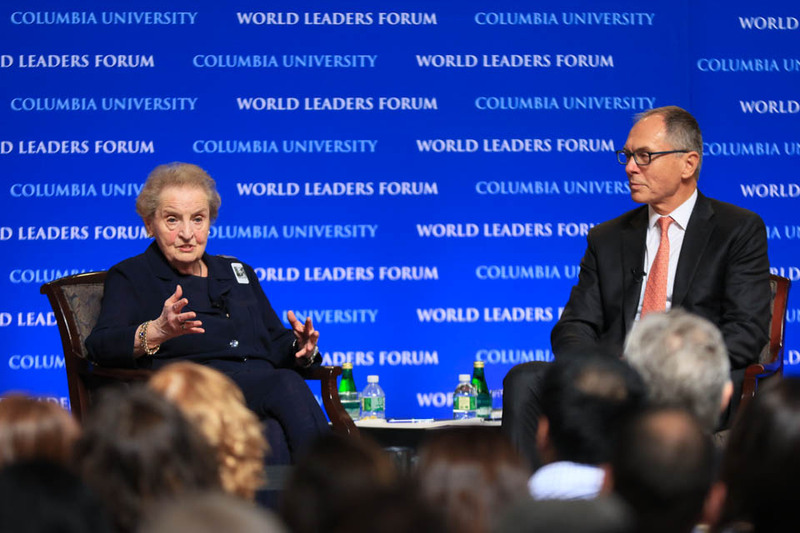 Albright cited the rise of authoritarian nationalism in Europe, and in the Czech Republic in particular, as a particular source of concern. Former Secretary of State Madeleine Albright honored former Czech Republic President Václav Havel in an address for the World Leaders Forum on Thursday, warning against the rise in authoritarian nationalism across the globe. Each year, the World Leaders Forum invites renowned political leaders and high-level policymakers to campus to encourage conversations about international affairs. 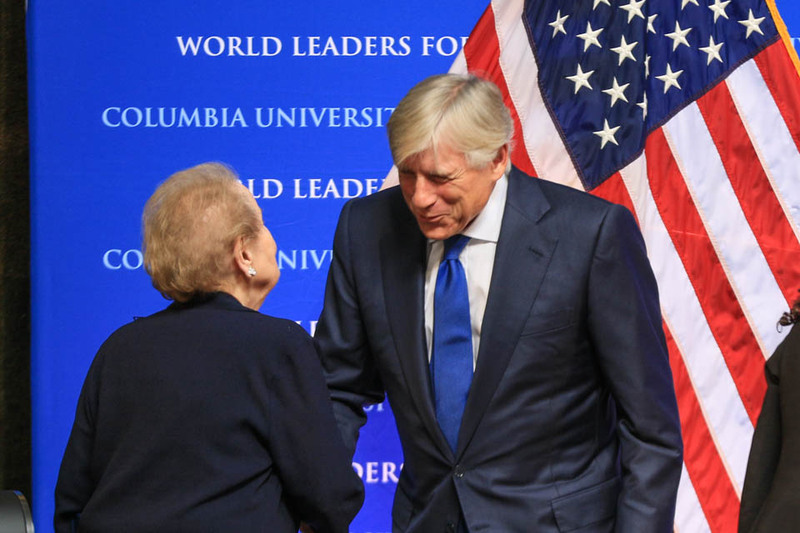 Thursday’s event aimed to celebrate Václav Havel, the first president of the Czech Republic and a former artist-in-residence at Columbia, whose legacy as a statesman and advocate for democracy and human rights has garnered domestic and international respect. During the event, Albright and University President Lee Bollinger unveiled a bust in Havel’s honor. Bollinger invited Havel, a playwright turned politician, to Columbia in 2006 to give lectures, interviews, and performances centered on his life and ideas. During his residency, Havel, with whom Albright was personally acquainted, focused on exploring the connection between art and citizenship. Albright spoke about her personal relationship with Havel, recounting her first meeting with him on a diplomatic trip to the Czech Republic near the beginning of his presidency. She additionally praised him for putting aside ideology and partisan affiliation in the interest of the common good. 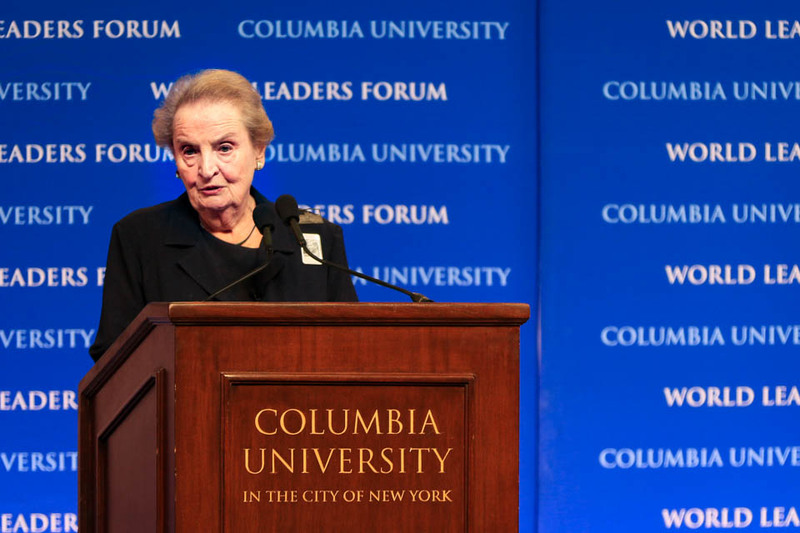 Albright cited the rise of authoritarian nationalism in Europe, and in the Czech Republic in particular, as a particular source of concern—one in direct conflict with Havel’s political ideology, which emphasizes democratic freedom and social activism. 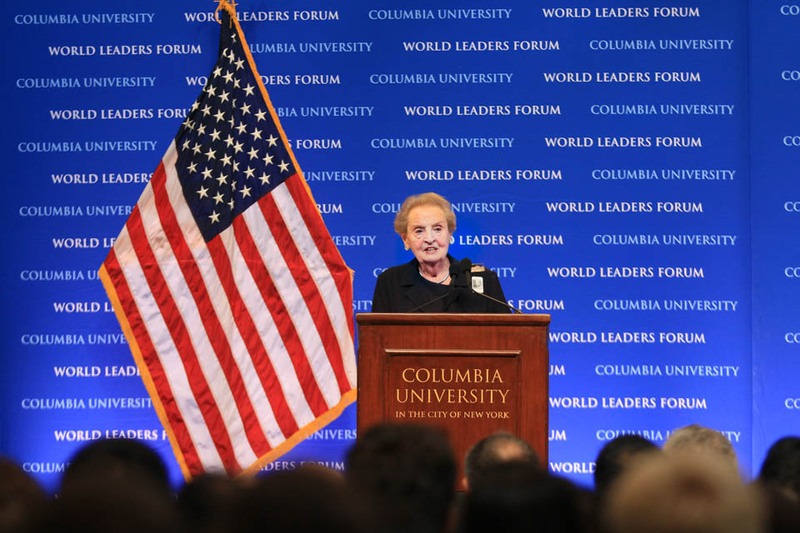 Invoking Havel’s legacy, Albright encouraged the students in the audience to engage with and make an impact on the political system. She argued that students have an obligation to use the knowledge gained at the University to run for office, support those who do, and have difficult conversations with people with whom they disagree. Albright urged people not to remain silent. “See something, say something, and do something,” Albright said.